Where were you in 88? Hopefully it was in the Wellington area, as these four youngsters that were bought up on American thrash metal and hard rock, were going to go places, and it was this influence that got them where they are today. 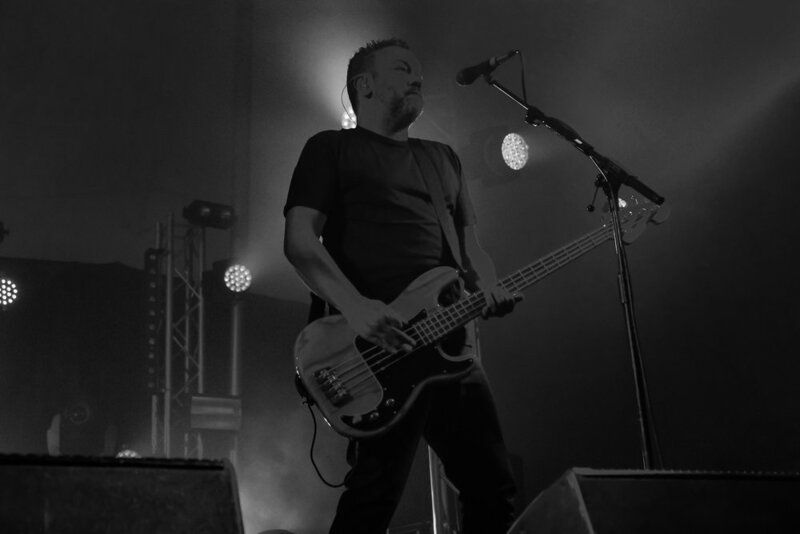 Shihad was formed by vocalist and rhythm guitarist Jon Toogood and drummer Tom Larkin,who then found Phil Knight on lead guitar and synthesiser from a music store ad. There was a couple of member changes in the bass department between 88-91 (Geoff Daniels, Geoff Duncan, Hamish Laing) they finally settled with Karl Kippenburger,and the line-up has stayed untouched to this day. These juggernauts have produced nine albums, three of which have become platinum; five have debuted at number 1. They also hold the record for the most NZ Top40 Single Chart hits, also with Best Group honours twice, over their 30 year career. 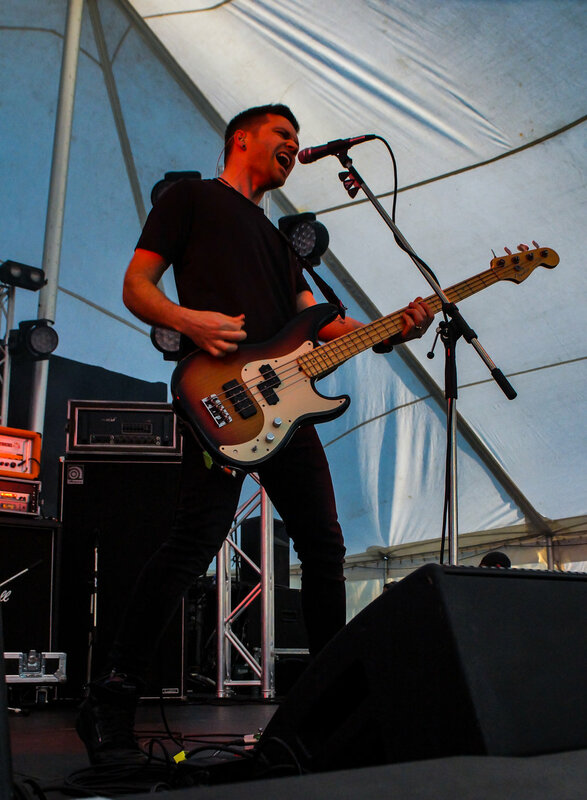 Even though they had to change their band name to Pacifier, for a short time in the mid nighties on a tour to the States, they’ll always be known as Shihad. 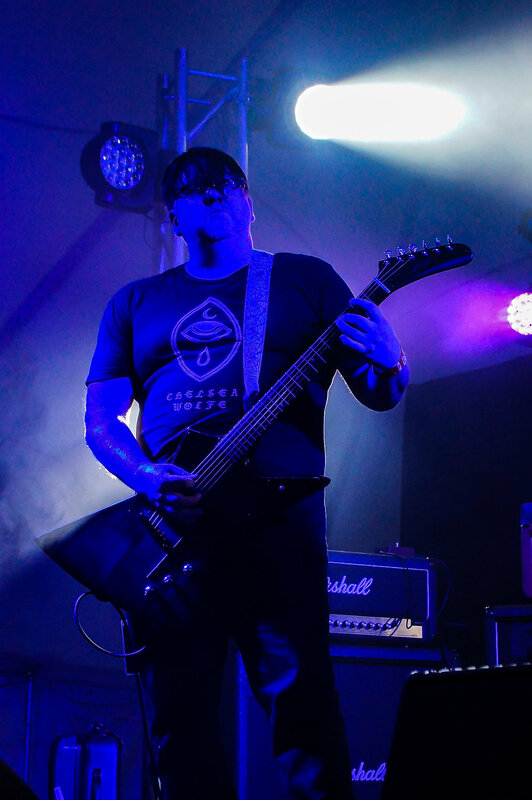 They have supported many major big International acts like Metallica, Faith No More and AC/DC over these years, so it’s no wonder they have become New Zealand’s rock royalty. Tonight they have been rescheduled to play a different venue from the original announced at The Foundry to the more open Bedford Big Top. With Christchurch reaching a national high of a staggering 24 degrees during the day, the temperature outside now has dropped to 16 degrees but these guys are always smoking hot and always amped and ready to go. 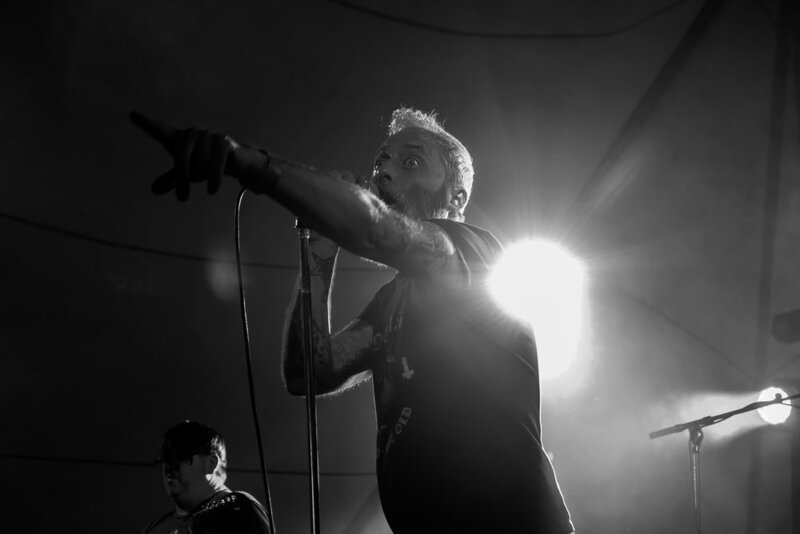 Before they hit the stage support act, two times Best Rock Album (NZMA) recipients Villainy (Auckland) open up the show at 7pm sharp (theshow is on a council curfew of 10:30pm), followed by Beastwars also from Wellington. It seems like an invasion from the north, just a shame there wasn’t a local support act. 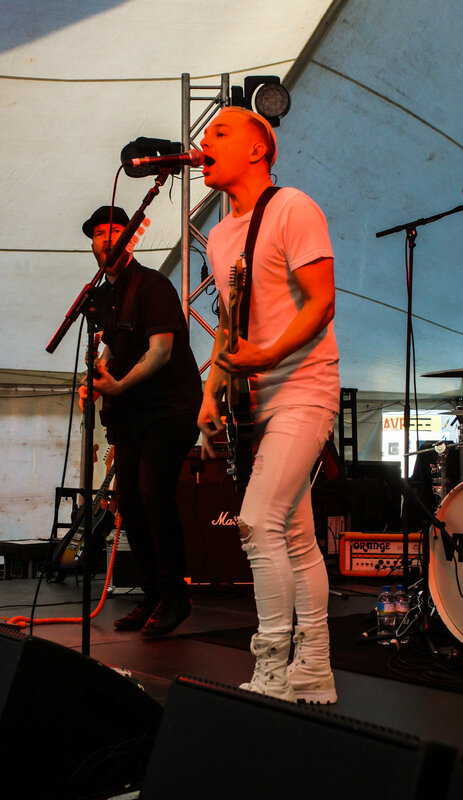 Villainy gets the welcoming crowd into the mood to rock with their no-holds-barred attitude performance, with a strong set including a couple of new songs. With an explosive start it was like they’ve lifted up a gear or two from when I saw them live a year or so back. It was also great to see the crowd get behind them and have a good sing along. It's my first time seeing Beastwars perform. I know these guys have opened for Mastodon and Kyuss and have played alongside many other big international acts at the Big Day Out in 2012. They entertain the audience with their dynamic performance of long hard-hitting stoner doom rock songs. It set the followers into a great vibe for more, but unfortunately their set had to come to an end. Then there was a short break for equipment changes, as 9pm approached. 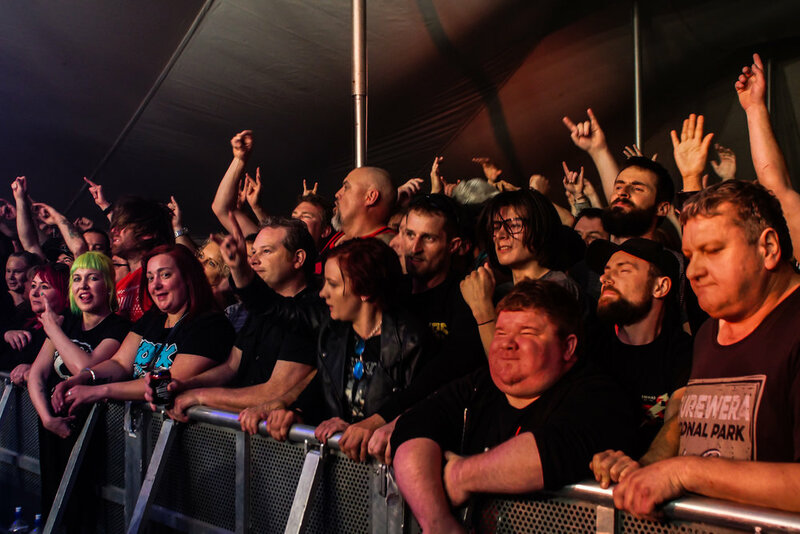 It was now that the fans started chanting and welcoming Shihad to the stage. With anthem after anthem we have come to know over the years,that have made them a household name, it wasn’t too long before the fans were singing along. 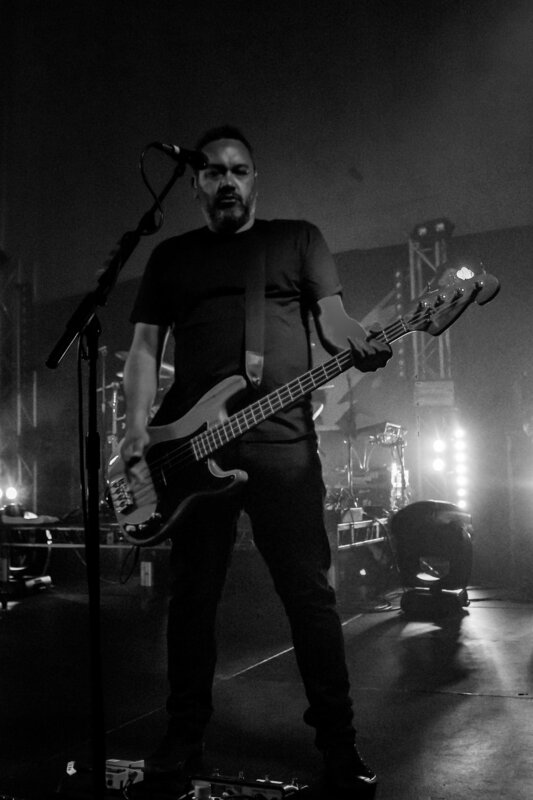 Jon decided to start yelling “Jump, jump for me Christchurch,” the crowd followed his command and he knew he had the audience in the palms of his hand, with most of the fans wearing the only colour that Shihad fans dress in, black. The inside temperature of the Big Top was now like a cauldron with an audience of thirteen hundred or so sweaty bodies, it was getting hotter by the minute, and with this show being the first of six in New Zealand, I can only imagine that by the time they hit the last show in Mt Maunganui, how hot it was going to get, before they start their Australian tour. An onslaught of songs was performed. This is a greatest hits tour spanning the whole 9 yards, or should I say albums,working from their FVEY album all the way back to CHURN. They played songs from each album and also homage to their album THE GENERAL ELECTRIC turning 20 years old this year. This they’ve now re-released on vinyl. No one was disappointed from my observations and who would be? It’s easy to see how they’ve become what they are. In thanking the fans for coming to the show, Jon said “It’s been a F*#king great ride and we have come along way since sitting in my lounge listening to Metallica albums,” it wasn’t long before it was time for them to shut down, although playing for one and a half hours, he also jokes that normally their shows are around fifty minutes long. After the show the Shihad lads took time to greet their fans at the merchandise tent to which you could chat, get photos, and of course get something signed. Congrats on the big three- oh anniversary and I hope there are still many more years of Shihad music to come, and with the following behind them, I’m sure that it’s not finished yet. Thanks guys for a bloody great night and an excellent start to a long Labour Day weekend, it now leaves me wanting more.